There are a number of PC apps that do the trick, I've read trying to find one for mac. But none seem to do it for mac (Mountain Lion). I have Little Snitch already and tried putting lsof -P -i -n | cut -f 1 -d " " | uniq into the Terminal, but both of these methods only shows what is using internet right at this moment. It doesn't, so to say, sum up all the data usage for the apps. 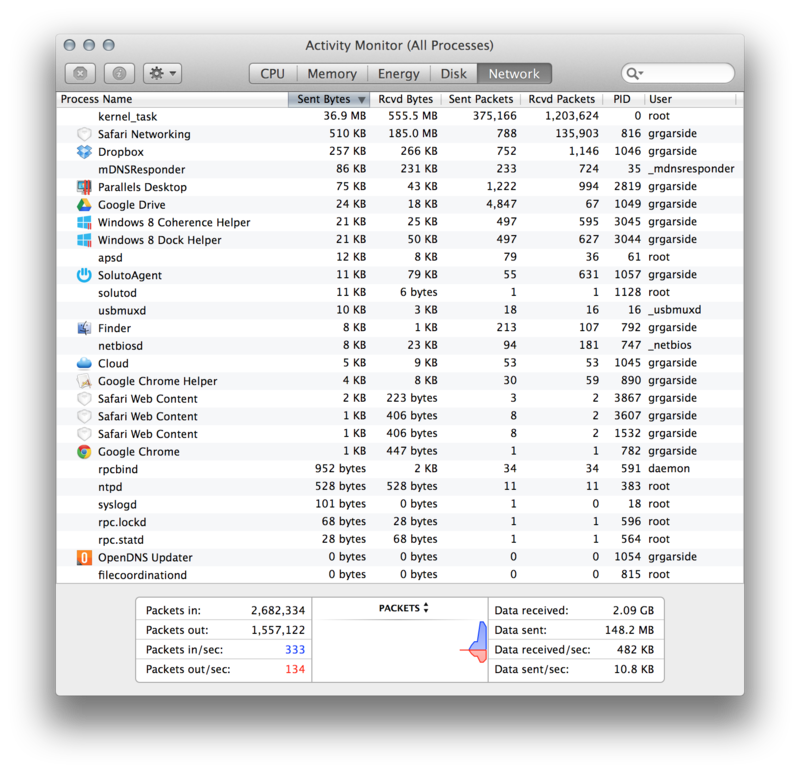 You can do this with Activity Monitor. You can run this in the background with the window closed and it will track the data usage for the apps and services. In Mavericks, this is a separate Network tab, but you can add the Sent/Received columns to the view in Mountain Lion too. Not the answer you're looking for? Browse other questions tagged macos network applications software-recommendation . Man in the Middle Network Proxy for iOS that supports SSL? What's the best way to share Mac Apps downloaded via Mac App Store? How to find out which process is sending huge data to the internet?